OK, this isn’t close to an original. I’ve only cooked it once twice. So why is it here? Because it’s good, easy, quick, and different. In a large skillet, warm the oil over medium-high heat. 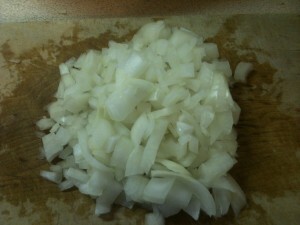 Add the onions and cook until golden. 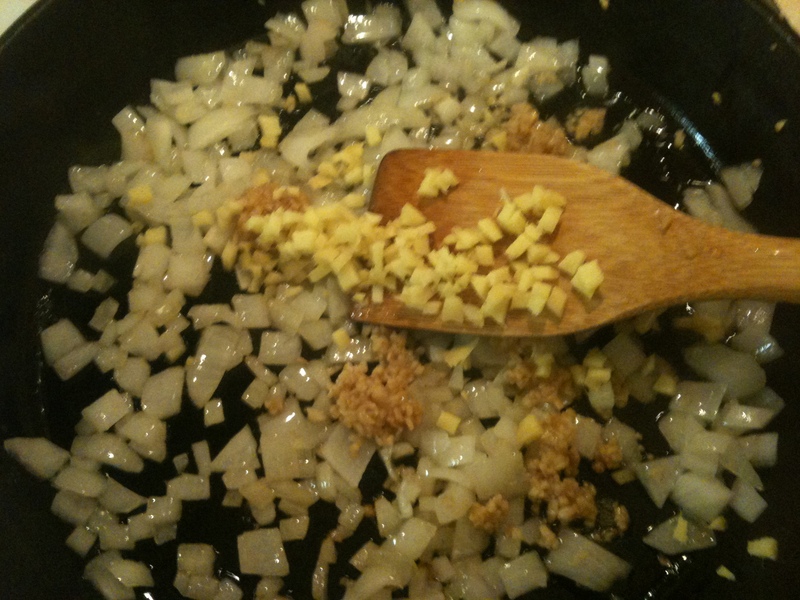 Add the garlic and ginger, and saute for another minute. Stir in the coriander, paprika, garam masala, cumin and cayenne, if using and cook for 1 minute. 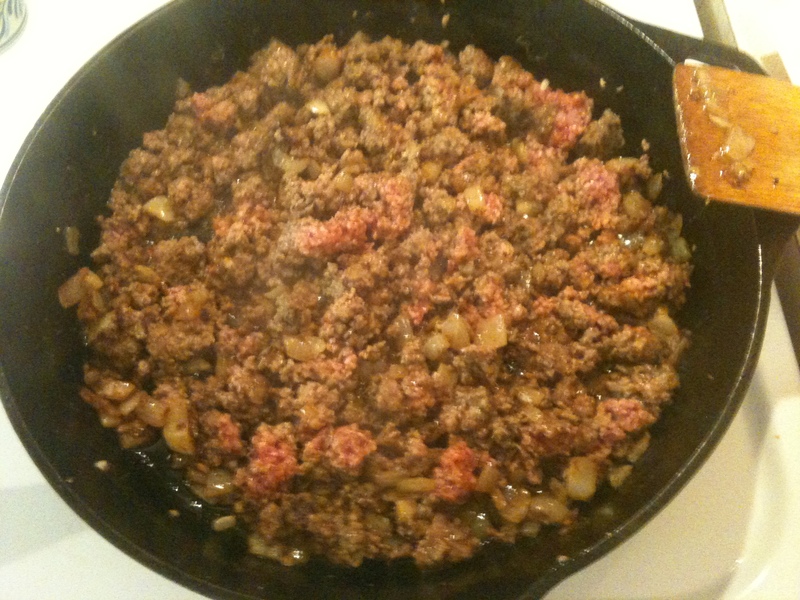 Add the beef, breaking up lumps with a spoon, and saute until the meat is no longer pink. Add the tomatoes, 1 cup of water and season with salt and pepper. Sprinkle in the fresh English peas. 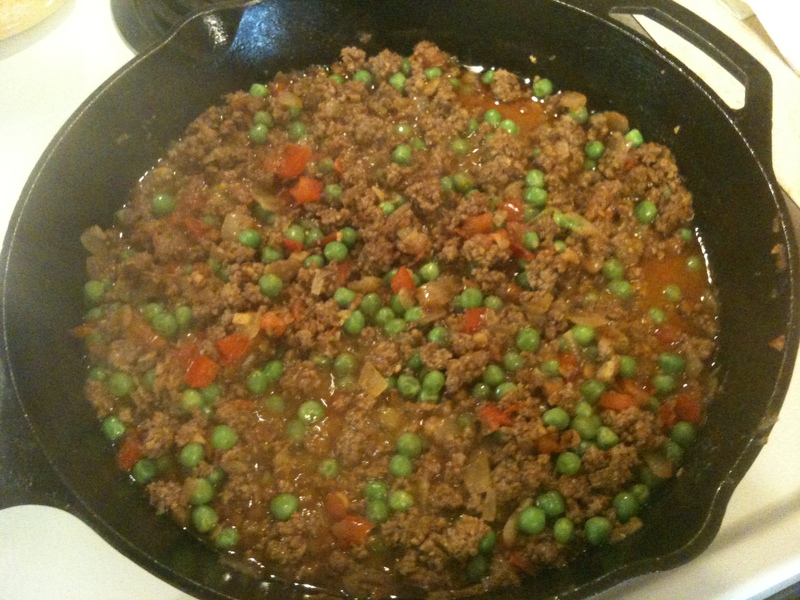 Stir well and simmer, partially covered, about 10 minutes or if using frozen peas, add them now, and cook another 5 minutes, partially covered. Stir in the vinegar and chopped cilantro. Garnish with torn cilantro leaves and serve with warm chapatis or pita bread. 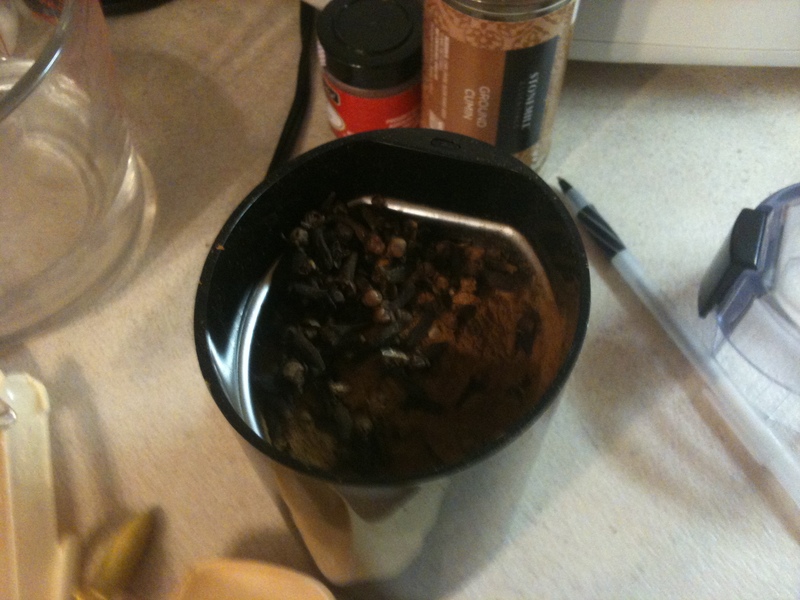 Combine the cinnamon sticks, cloves, green cardamom seeds, black cardamom seeds, if using, in a spice grinder or coffee grinder and grind until fine. Store the spice mix in an airtight container away from direct sunlight. Yield: about 1/2 cup. 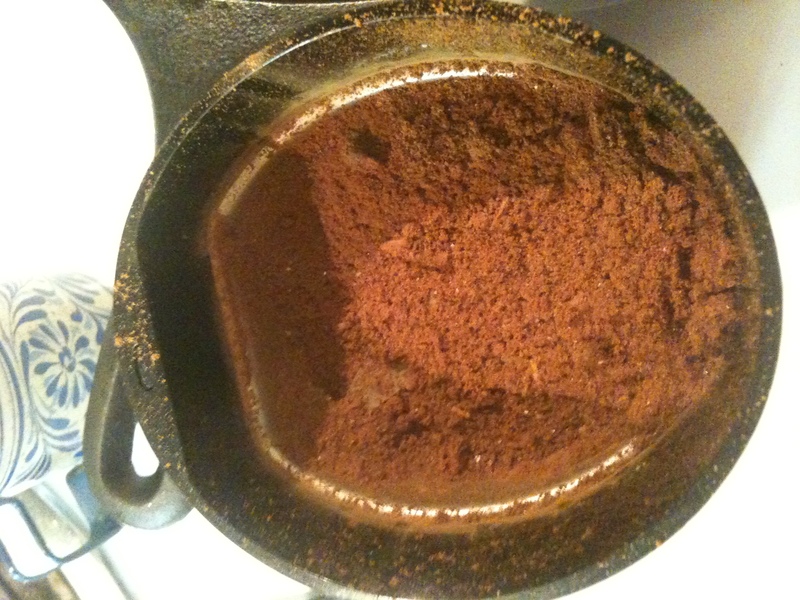 What I did was to prepare the garam masala first. Although I had most of the items on hand for it, there’s always something I don’t have. So I improvised a tad. I will be looking for green cardamom seeds in the near future. I didn’t have cinnamon sticks either so I used ground cinnamon. But taste-wise this substitution worked. And since I now have gram masala made up, I can get this dish together even faster. Score! I followed the recipe to the letter. And I think it’s a great dish. Like my opening said, good, easy, quick, and different. It is all of these. Some things I will try the next time I make this. And given the quick prep time, this won’t be long. 2) Reduce the amount of water. A full cup seems to be too much, especially if your tomatoes are juicy. Trying 1/3 cup next time. 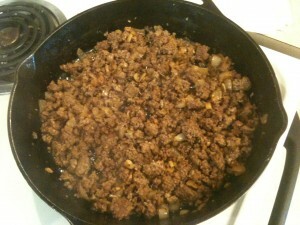 3) Using different meat. Many posters on Food Network said they’d used ground turkey, lamb, etc.. And these would definitely work. I also think tofu would be just great in this. If you do use ground beef, try browning it separately so you can drain unwanted fat. 4) One poster said they’d used corn instead of peas. I think it would be great with both. 5) Use more spice. Dave likes his kheema spicy. I can’t think of any other things to try, and I’m not sure there really are many more out there. This is a great dish, almost perfect as written. So, how about some pictures of the process? The raw spices in the grinder, ready to be crushed into Indian cuisine goodness! The spices, ground and ready to use. Onions, chopped but not overly fine. I like having some chunkiness to my dishes. 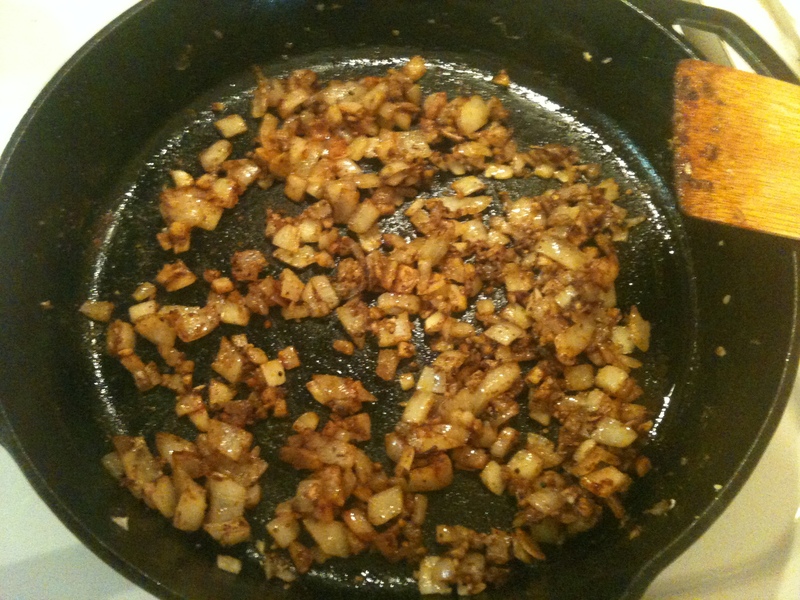 Into the pan they go, I like to start foods like onions on high heat to get them going quickly. 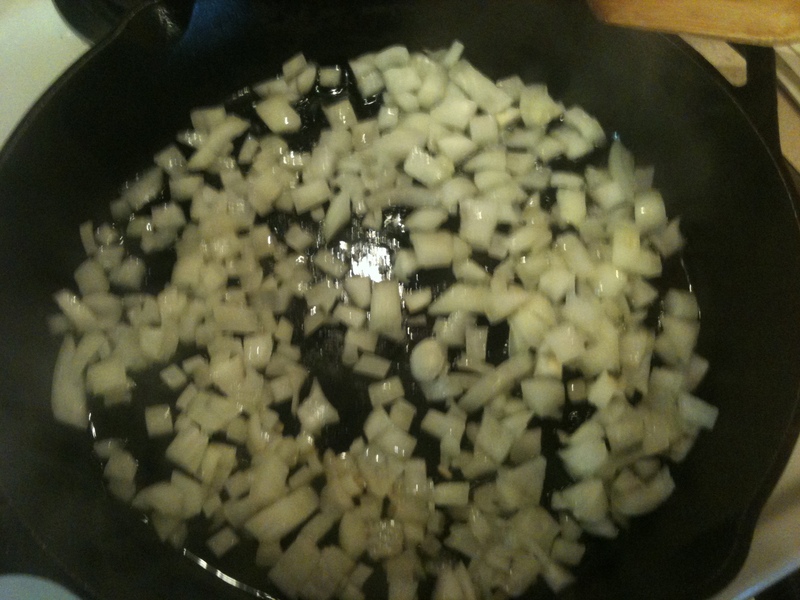 The onions starting to develop a nice brown color, and this was a sweet onion to start so think how this would taste. I add the ginger and the minced garlic. I love the color of fresh ginger! I put the meat in to brown, break it it up but again I like chunkiness so I left some pieces a little larger. 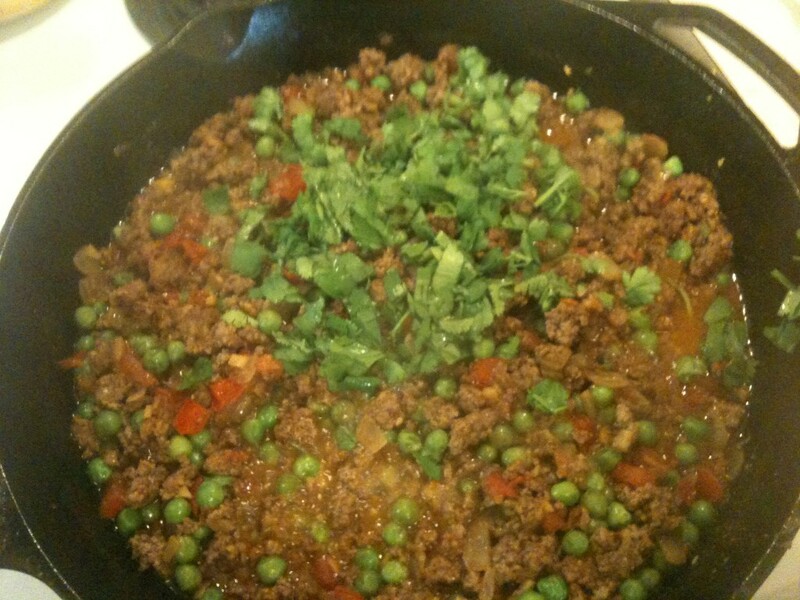 Sprinkle the gram masala and other spices in with the meat as it is browning. The meat browning nicely. If it hasn't already hit you, the aroma of this dish is gonna get you. 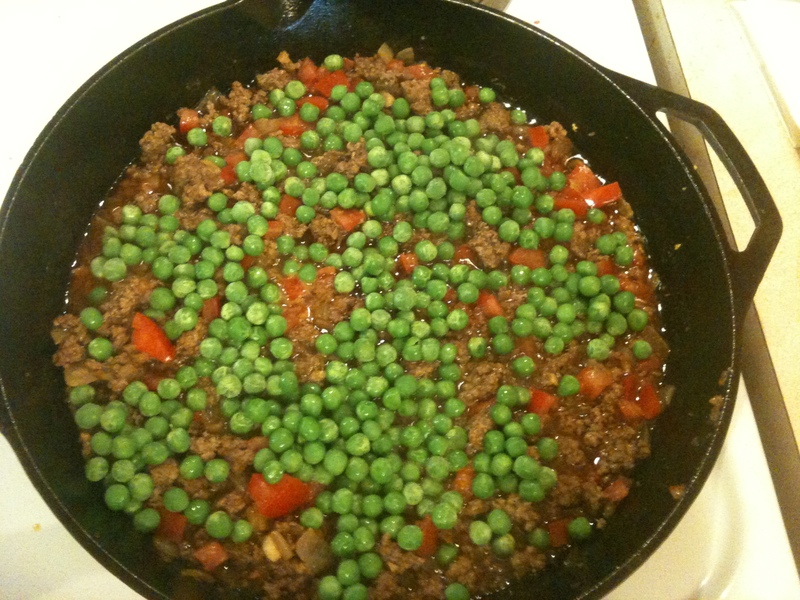 Add a cup of frozen green peas and stir in, love these colors. 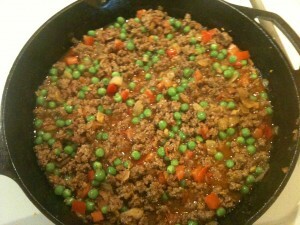 Add 2 chopped fresh tomatoes and stir in with the other ingredients. Don't lie, this is starting to really smell good! See the steam forming? Oh yeah... Stir the mixture to ensure the peas cook evenly. When everything else is ready, stir in the chopped cilantro leaves. They'll be perfect with a scant minute of time on the stove. Horrid lighting. DO NOT LET THIS PICTURE DETRACT YOU! Honest, it was great. Problem was, I couldn't wait to dig in so no time for a reshoot. 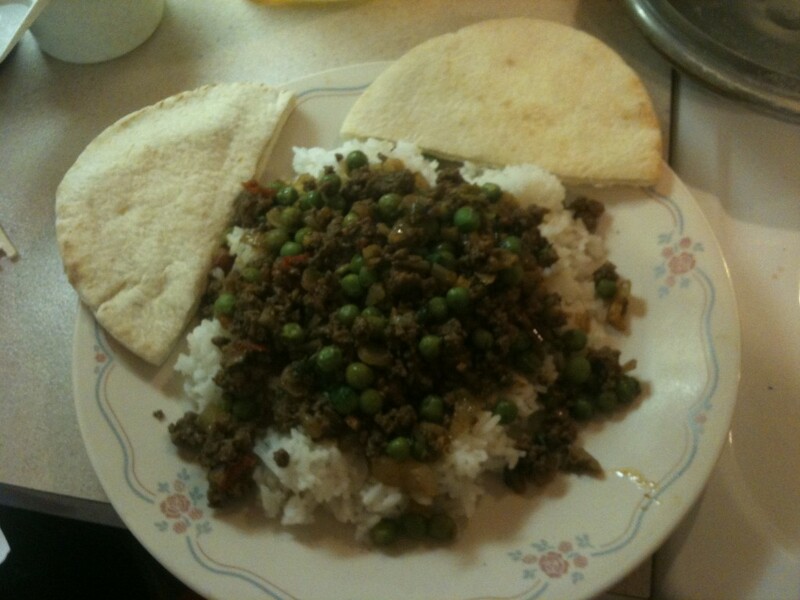 I served the kheema over white rice with warmed pita bread. This entry was posted in Everyday Cooking, Recipes. Bookmark the permalink.